Spring is just around the corner and that means great birding in Texas! This would be a great networking event for the members of our chapter and a great way to host a birding event that is open to the public to engage more folks in our chapter’s work. 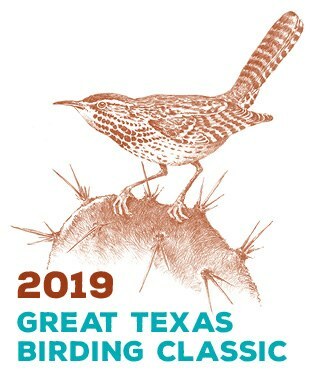 Gather your friends and fellow CPCTMNers to form a team for the 23rd Annual Texas Birding Classic. It’s the biggest, longest, wildest bird watching tournament in the U.S.! Deadline to register your team is April 1, 2019. All levels and ages of birders are welcome to join this Texas bird watching event during the amazing spring migration. Visit Tournament Advice and Sponsorship Tips for tips on mentoring youth teams, advice from former winners on how to run a successful Big Day or the week long tournament, pointers on birding with blind or visually impaired birders, and even advice on finding team sponsors to save you some money in registration fees.